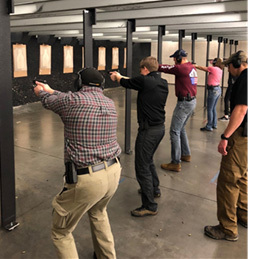 This is a twelve-hour course, which includes skills that are useful for both concealed carry and competition. 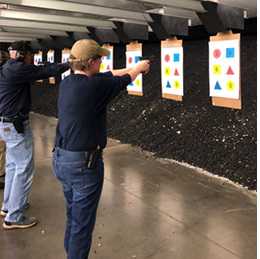 Skills taught include proper drawing and presentation of the firearm from a holster, target acquisition, multiple targets, concealed carry considerations, and use of cover. PRICE: $275 (non-refundable). If you do not already have an ESS range card, there is an additional $10 fee for range orientation. Must be 21 or older to take this course. SCHEDULE: This is a 12-hour program - 3 days in a row (6:00-10:00 PM): 5 hours of classroom presentation and 7 hours of range time. PREREQUISITES: ESS Basic Pistol/Concealed Carry Course or ESS Instructor approval. 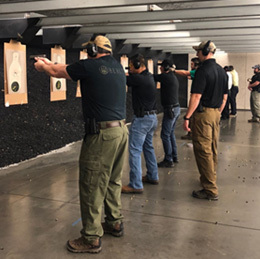 To ensure you meet the prerequisites for the course, please email a copy of your Driver's License and a copy of your Concealed Carry Permit to [email protected]. NOTE: This course does not meet the requirements for the Virginia Concealed Carry Permit. Courses have been filled or have not been listed online yet. © 2019 Elite Shooting Sports, LLC. All Rights Reserved.